Before the start of Operation GC6 we sent out this training assignment to some of our pre-registered agents. Please find attached photographic evidence of Mission ICNSI-GC6-TA-01 MYTH PROPAGATION in progress. The photograph in question was taken on 11/10/2011 at approximately 1400 hrs in Bletchley library, Milton Keynes, Buckinghamshire. 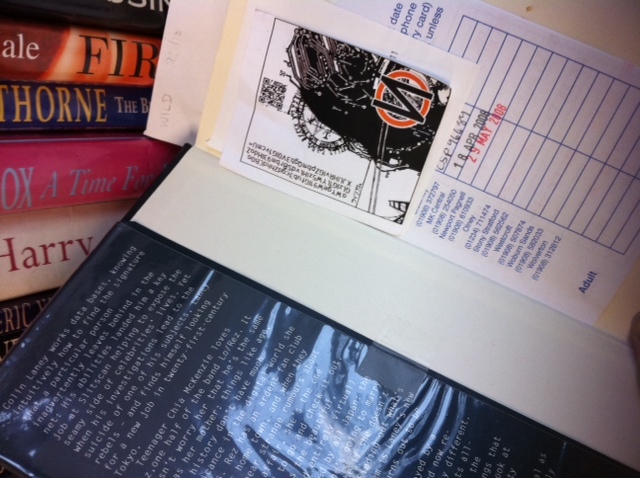 It was found through internet research that Milton Keynes Library Service only holds one (1) copy of any book in William Gibson’s Bridge trilogy, which was in storage at the main central repository. 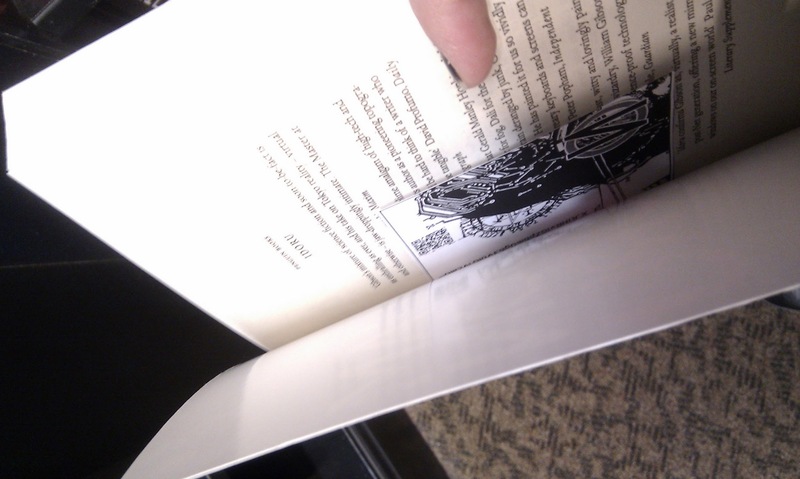 An inter-library transport request was processed online, so that I was able to intercept the book (Idoru) in question and secrete the Myth Propogation tool within its covers. As I am in the process of moving house this forthcoming weekend, I was unable to get to any bookshops in town that may or may not stock these titles. It was also noted that the spirit of the mission may be to propogate knowledge of Covernomics either within the locality that the specific Covernomics campaign would be targeting, or amongst the population group type that may contain potential Covernomics recruits. With this in mind, I undertook to educate people about the immense importance of William Gibson’s literary works (as a subscriber to his branch of futurology myself) and distribute my own copies of these books (gathered over the years through library sales and second hand charity book shops) amongst existing contacts, with the Propogation Information in place. 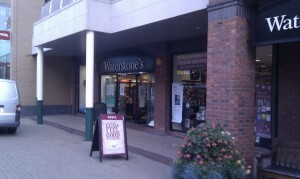 Please find attached a photo of the Waterstones in Sheffield and supporting evidence of propagation of the myth. This mission was completed on Friday 7th October at 09:20. The shop was quiet, but I knew where my target was, so after browsing a few steampunk books, using my phone to price check them – so as to remove suspicion of the phone in photographing the evidence. The sci-fi section is in a dark corner, but in direct sight of the counter, which was manned by two staff, thankfully distracted in conversation. I planted the propaganda, choosing Idoru as my favourite of the three titles. Took my photograph and returned the book to its shelf. A few minutes later the only other customer in the shop wandered over, so either he was another early bird sci-fi fan, another agent or more likely, an undercover store detective. But it didn’t matter as the job was done so I browsed some more and added a few more to my online wishlist and then headed out to work. For my second shop, Amazon has made finding decent bookshops tricky, but I made a last resort to try WHSmiths in Long Eaton, although there is no photographic evidence to support this since public use of a smartphone in Long Eaton might start cries of “Burn the witch”.